We added these books from files (e-books). 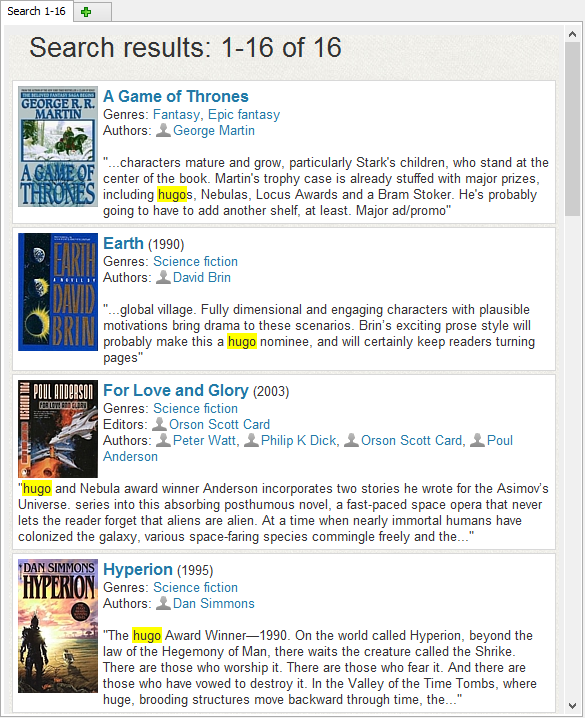 Booknizer extracted such details as cover, description, author, and more, and saved the details into the database. Now we want to create a list of books that were nominated for a Hugo Award (one of the most prestigious awards for science fiction and fantasy works). How do we do that? Switch to the "Search" tab (either by pressing the "Search" button on the toolbar, or by selecting the tab directly in the left area of the main window). 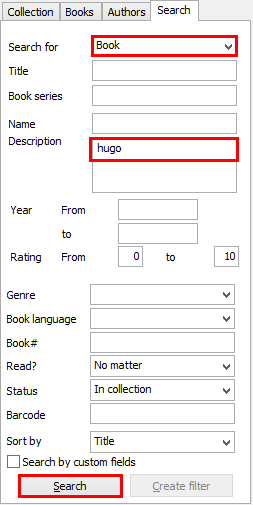 Make sure that "Book" is selected in the "Search for" field, enter "hugo" into the "Description" field and hit "Search". We can now review the titles, create a report using the search results, etc. Of course, this will only work if the award's name is mentioned somewhere in the book's description or comment (which is normally the case). 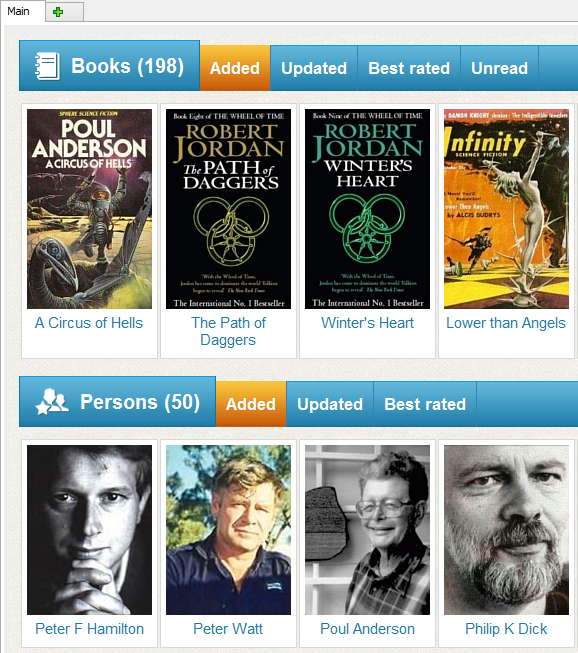 If your books do not have any descriptions, you can download book details from the internet or add them manually.